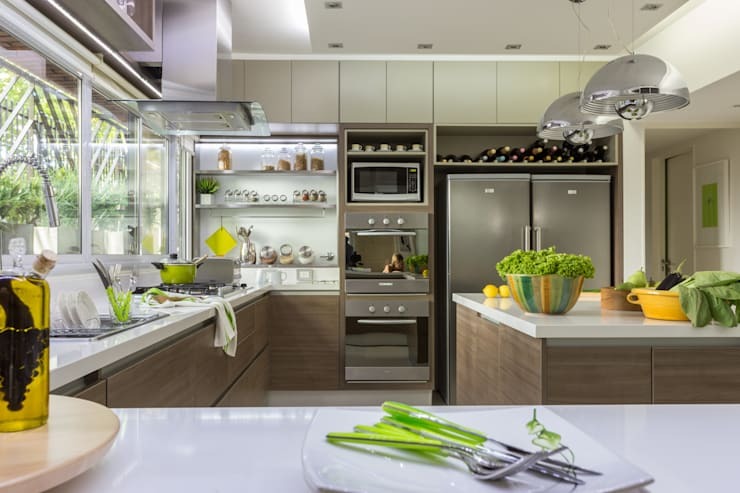 Owning a professionally designed kitchen, with delicate surfaces and perfect countertops, is a dream come true. However, that dream can quickly become nightmarish should smudges and bad odour take over your culinary space. Apart from regularly cleaning your kitchen surfaces, your equipment also need to undergo some cleansing. And we know that with all those everyday stresses, a dirty kettle is the last thing that should provide you with sleepless nights. 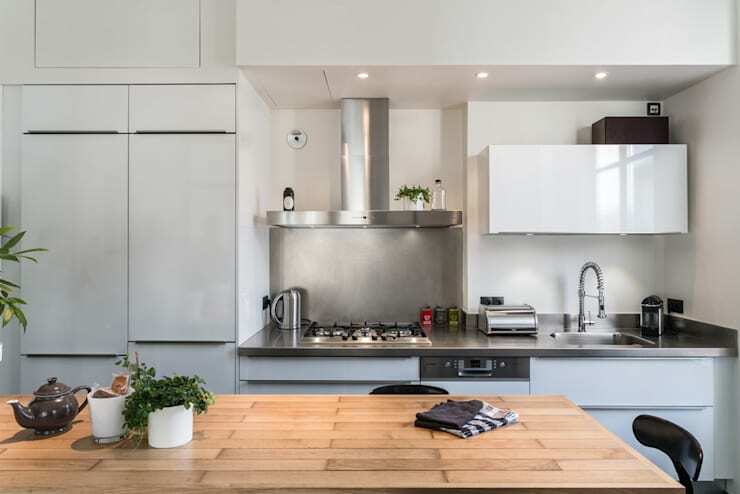 But don’t fret – homify is here to assist and inspire you to quickly and effectively clean those state-of-the-art appliances, leaving your kitchen (and your house) as good as new. The built-up grease and charred food in an oven can turn into carbon, which can taint your food and become a fire hazard. Therefore, a clean oven is a safe oven. 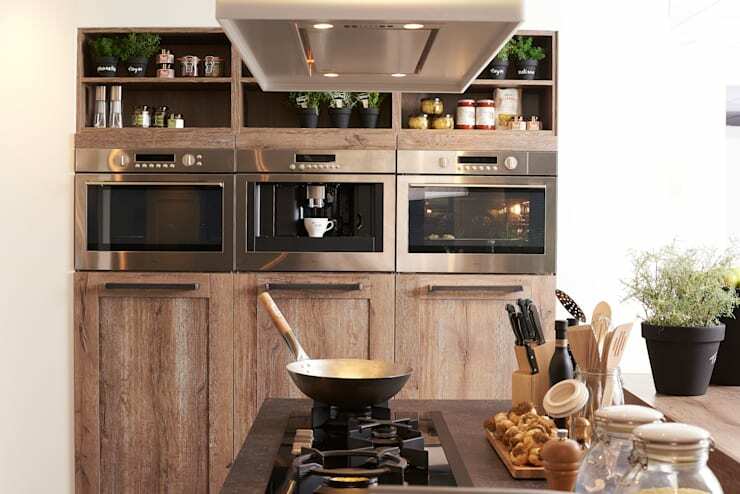 If you don’t have a self-cleaning oven (with a feature that allows you to heat the oven to such a high temperature that the built-up grease gets turned into ash), you will have to resort to some good old fashioned cleaning-by-hand on a regular basis. Remove your oven racks and place them in a sink full of warm water mixed with a few drops of dishwashing liquid. Allow to soak. For your oven, add 4 tablespoons of baking soda to a 1-litre spray bottle filled with water. Shake it to moisten and dissolve the baking soda. Spray the oven’s insides, focusing on the stained areas until they are completely saturated. Leave for an hour, then test to see if the charred parts have loosened. Use a scraper (the type used to chip ice off your windshield) to remove the loosened carbon. Spray your oven interior with the baking soda solution and leave to soak for another hour. Remove the remaining carbon again. Wipe down your oven with a solution of half vinegar, half water. An industrial-strength oven cleaner should be used if caked-on carbon still remains. Note that these chemicals may be harmful to breathe, so use with caution. Scrub your oven racks in the soapy water, rinse, dry, and place back in your oven. Making your glass-surface stovetop shine and sparkle is quite easy, but just make sure your stove is off and cool before starting. With warm soapy water and a sponge, gently scrub off as much of the visible grime and loose pieces of food as possible. Wipe down the stovetop with a soft and clean towel. 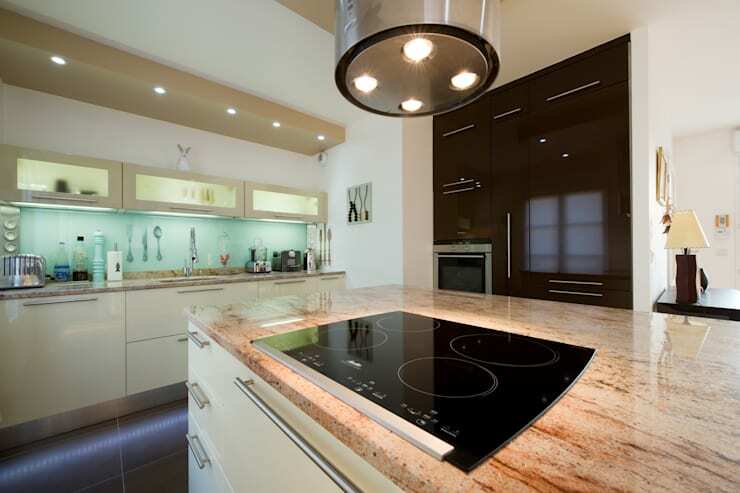 Apply some glass cooktop cleaner liberally and begin to scrub with a sponge (use the harsh side). With a scraper (that won’t scratch the glass), gently scrape the areas of the stove that feel rough to the touch. Afterwards, scrub these areas again with the cleanser and sponge. Using either a paper towel or a soft cloth, gently buff away the cleanser. After you have wiped down and buffed up your stovetop, you are done! Splatter happens. But acquiring a fresh-as-new microwave is easier than you might think. Pour about half a cup of water into a microwave-friendly bowl. Slice a lemon in half, squeeze the juice into the water, then drop the lemon halves into the bowl. Place the bowl in the microwave and set on high power for three minutes so that the liquid starts boiling. When done, do not open the microwave door. The steam trapped inside will loosen the food stains. Let it stand for about five more minutes. Open the door and carefully remove the bowl. If your microwave has a turntable, take it out and wipe it clean. Wipe the insides of your microwave clean, starting with the ceiling, the sides, the floor and then the door. Should you see any stubborn spots that won’t wipe off so easily, dip the corner of a dishtowel in the lemon water and scrub until the spot comes away. Since your mixer is able to mix everything from cake batters and mashed potatoes to kneading homemade bread, you can’t blame it for requiring the regular cleansing. Here’s how to do it. Remove the mixing blades and other attachments. Wash them in hot, soapy water, and then rinse with clean water. Washing these items immediately after use avoids food hardening on them. Repeat with the mixing bowl. For stand mixers, you can rinse out the bowl and place it on the top rack of your dishwasher. Unplug your mixer and use a damp washcloth or sponge dipped in soapy water to wipe down its body. Ensure that you wring out the cloth or sponge thoroughly before wiping to avoid getting water into the mixer’s motor. Turn the mixer over and clean underneath the base and below the mixing arm. Use a toothpick (or old toothbrush) to remove foods that have accumulated around the buttons. Dry all attachments immediately after washing. Place all attachments in a drawer or cabinet to avoid losing any of them. homify hint: Don’t submerge the mixer in water, as it may ruin the motor. And unplug your electric mixer immediately after use if you have youngsters in your home. Mixers can be quite a temptation for young children who just love touching any moving object. A clean fridge can go a long way in keeping your food fresher. Unplug the fridge and slide a coil brush underneath the kick plate (the rectangular panel just above the floor) to remove dust. Make sure your fridge is empty. Remove the drawers and scrub them with a sponge, warm water and liquid dish soap. Allow to air dry. Wet the interior with a multi-surface spray. Wipe down the walls, shelves, shelf seams and rubber door seal. Use an old toothbrush to dislodge grime from the crevices. Plug in the fridge and place the drawers and food back inside. Be sure to wipe down all jars and bottles. 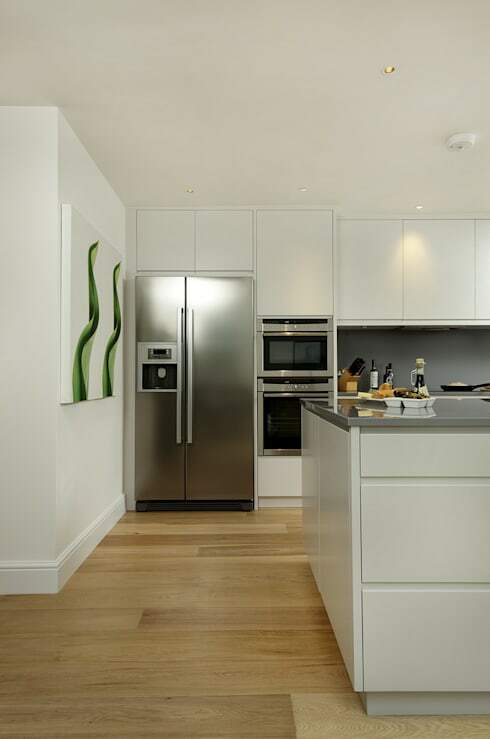 For exterior cleaning, use a multi-surface solution and paper towels for an enamelled steel fridge. For stainless steel, dampen a microfiber cloth with distilled white vinegar and rub in the direction of the grain. 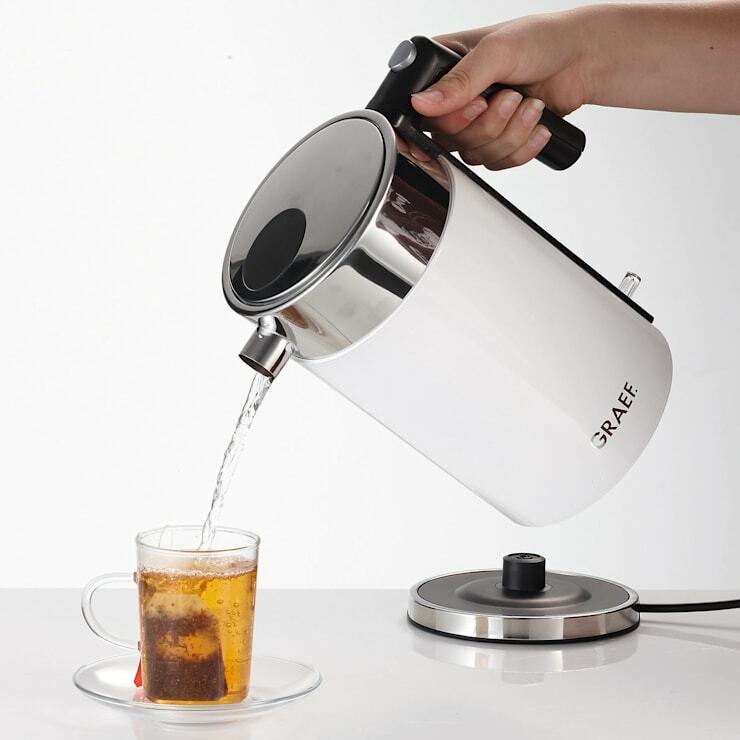 Kettle cleaning is an inherent part of enjoying fresh coffee/tea on a daily basis. Mineral deposits, especially from hard water, cause scaling which can slow down the boiling process. Fill your kettle up to half with equal parts of water and white vinegar, and bring to a boil. Turn off the kettle and remove the power cord from the wall outlet (safety first!). Allow the vinegar mix to sit in the kettle for about 20 minutes (if you have a lot of scaling, you may use a stronger vinegar mix and leave it in the kettle for an hour, or even overnight). Throw out the vinegar mix and rinse your kettle with clean water. Simply wipe the inside of the kettle with a clean cloth and leave to dry completely. When completely dry, you may again boil some water and discard to remove any possible remaining vinegar aftertastes. This can be done a few times to avoid a vinegar-like coffee taste the next morning! homify hint: Standing water can leave more mineral deposits in your kettle. Thus, either empty your kettle after every use, or boil only the amount of water you require. No mess, no fuss! Do you agree with our cleaning tips, or do you have some additional advice to share with us? Let us know below.